Virtually Anywhere creates spa virtual tours, providing dynamic, online experiences for the hospitality and healthcare industries. 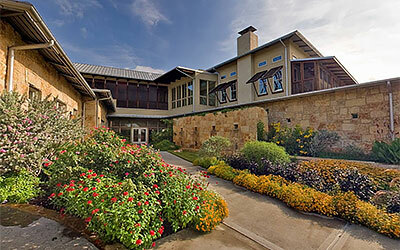 A walking tour of your spa is a great way to promote business, but in-person tours are not always possible. A spa virtual tour lets prospective visitors experience the rooms, fitness centers, recreational areas, restaurants or other unique aspects of your spa as if actually being there, through an online, self-paced virtual tour. 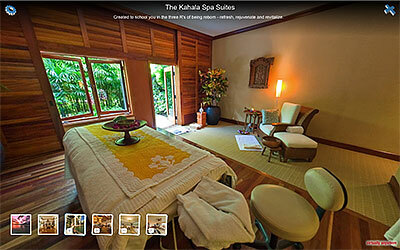 An online virtual tour puts your spa in the best possible light for online visitors. Unlike simple photography, a 360-degree virtual tour brings your spa to life, even when certain areas may be under development or inaccessible. Embedded links directly within the virtual tour images encourage online visitors to explore and discover further information. Virtual tours can also be used for orientation during guest check-in to show important areas and unique features a guest may see during a stay. With over 10 years of specialization in healthcare virtual tours, Virtually Anywhere is the leading producer of spa virtual tours in the hospitality and healthcare industries. Creating a virtual tour of spas involves high-end 360-degree digital photography, software programming and professional know-how to reflect the feeling of actually being there. Virtually Anywhere has spent more than a decade producing industry-leading spa virtual tours, and brings to bear everything we have learned into each new project. If you are looking for a resort virtual tour company to create a powerful, online virtual tour of your facilities, look no further than Virtually Anywhere.